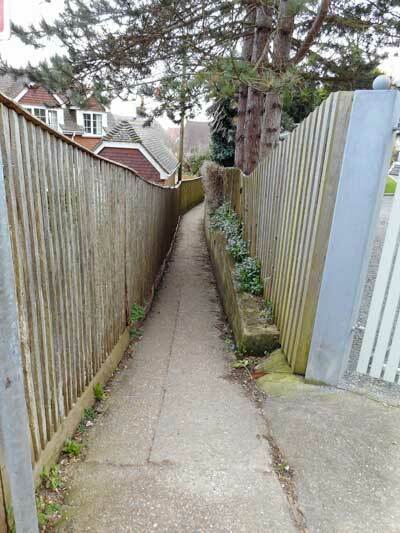 Pedestrian access to the eastern end of Seagrove Bay from Seaview is across the shore from the Seaview Bay development (the site in bygone days of the Pier Hotel). However, at high tide this route is not passable and the alternative route is along Pier Road behind the houses facing the sea and along the narrow footpath at the end. In years gone by, there was a toll of one old penny for anyone using this private path. This is recorded in the 1930 Ward Lock Red Guide, it had been removed by the 1967 edition.